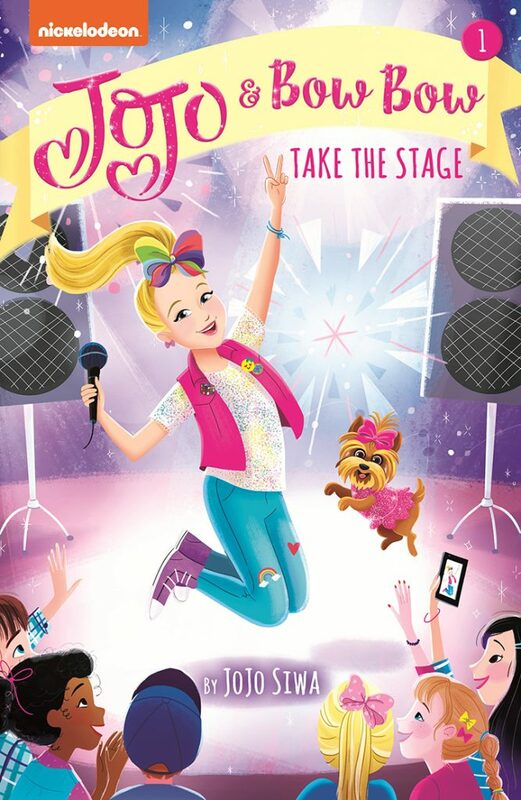 JoJo & BowBow Take the Stage: Autographed Book + Prize Pack GIVEAWAY | YAYOMG! Note: We teamed up with Abrams Publishing for this JoJo and BowBow Take the Stage Giveaway. All opinions are our own; we were under no obligation to give a positive review. 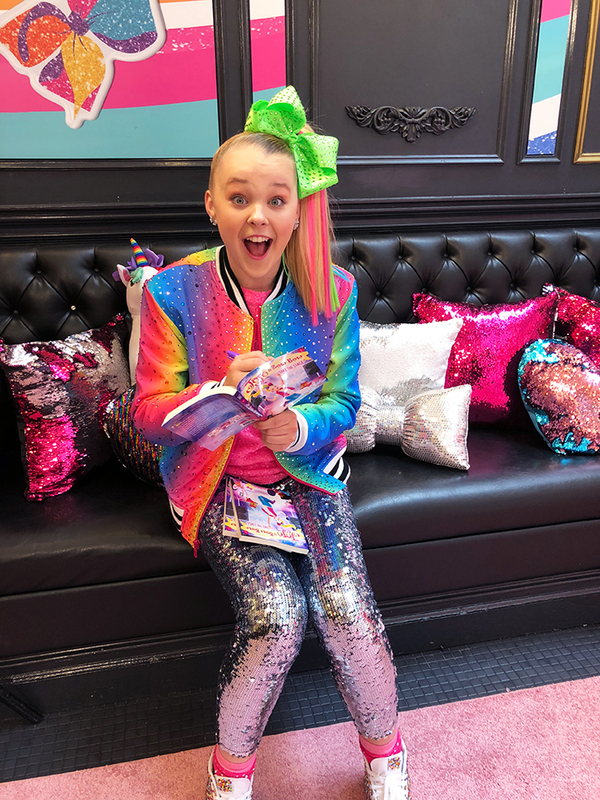 From announcing her very first tour to releasing record crushing music videos, JoJo Siwa is on FIRE lately! Her new book, JoJo & BowBow Take the Stage, hit bookstore shelves earlier this week, the first in a brand new series from Abrams Publishing. In this new series, JoJo and her dog BowBow will be heading out on exciting adventures, having lots of fun, and facing any challenge that comes their way. Most importantly, they’ll show the word that with a little positivity, kindness, and big dreams, anything is possible. Sounds amazing, right? What if we told you that you could WIN an AUTOGRAPHED copy of the book, plus some super cute JoJo Siwa accessories? Keep on reading for how to enter! JoJo Siwa and her trusty sidekick, a teacup Yorkie named BowBow, are used to being center stage. So when her neighborhood throws a block party, it’s a no-brainer: before hitting up the nacho stand and bouncy castle, JoJo and the Siwanatorz will perform on stage for everyone they know! It’ll be the best show yet! But as unexpected challenges pop up—the neighborhood bullies slime their costumes, the microphones stop working, and her best friend gets cold feet—JoJo shows the Siwanatorz what stars are really made of: kindness, courage, and a whole lot of fun. JoJo & BowBow Take the Stage is available now! 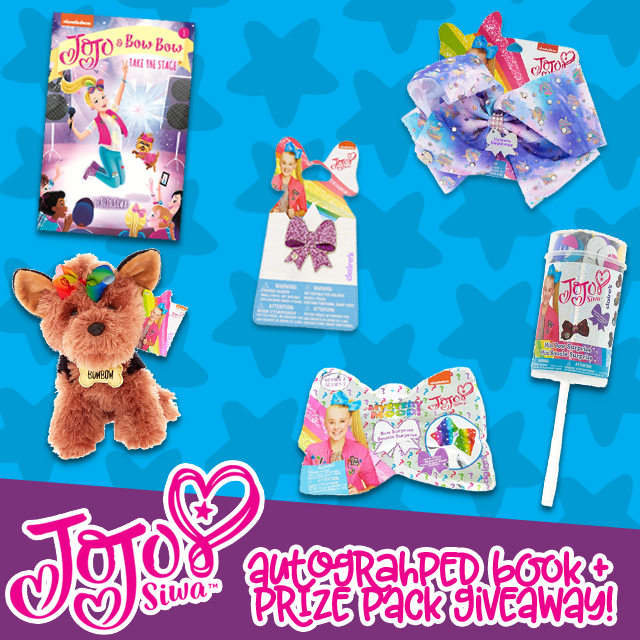 Enter below for a chance to win an autographed copy of the book and a prize pack filled with adorable JoJo accessories! *Books generously provided by Abrams Publishing. Books were autographed at an in-person event by JoJo with permission from her team. **Enamel pin will be a Bow, a Smiley Face, or a Rainbow – selected at random. We cannot guarantee which pin you will receive. You must be 18 or older to enter. If you are under 18, please have a parent or guardian enter on your behalf by filling out the form below by November 16! Giveaway begins on November 9, 2018 at 12:00 pm ET and ends on November 16, 2018 at 11:59pm ET. Open to US residents ONLY. Please, only ONE entry per person. THIS GIVEAWAY HAS ENDED AND THE WINNERS HAVE BEEN SELECTED. JoJo just announced her first tour ever! She gave us all the details about her D.R.E.A.M. tour, her upcoming music, and how she stays motivated to work so hard!